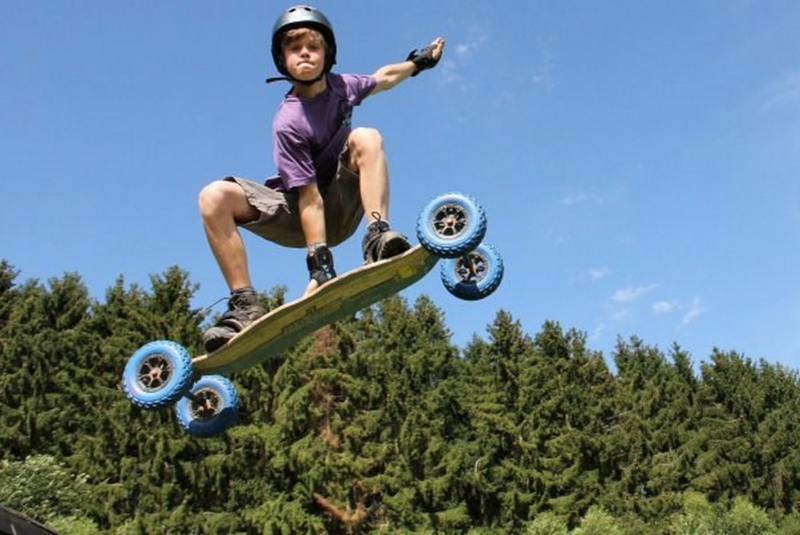 A Mountainboard is like a snowboard with wheels. It is used to go offroad downhill. So you can have the feel of a snowboard but without the snow, it is a lot of fun.